Editor’s Note: The following questions were posed by the PVC, a group of progressive student organization leaders that hold a forum and endorse USG Executive Board candidates. The organization was formerly known as The Progressive Voter Coalition and was deferred for a name change due to a USG bylaw that states coalitions whose name or mission statement includes political language will not be recognized. The coalition now is known as the PVC. First, the Finance Committee should be made up of individuals who are not only representative of the current Tulane, but representative of the Tulane we strive to become. When Finance Committee members represent the future of our institution, the financial process will as well. The financial processes for organizations from budgeting to travel to motivation money are currently seen by many to be barriers as these processes are unknown to many. The past VPF through the utilization of the website has made finding information on these resources much easier and I plan to continue the expansion of information availability and transparency with the Finance Committee of USG. Eliminating barriers to entry in the Finance Committee allows for more organizations to reach an understanding of the process. Existing resources and structures on campus should be reevaluated and resized to benefit all students equitably. There definitely is an unequal burden placed upon marginalized students at Tulane. That is grounded in the fact that we are not as diverse as we can be as a student body. I believe the best way to address this issue is through the mentality of “Speak Up and Step Back.” By this I mean, people speaking up about issues shouldn’t just be those who have had wrongs perpetrated against them. Instead, anybody witnessing a wrong should feel empowered to speak up and call it out. At the same time, this is paired with “Step Back” to emphasize that when a marginalized student chooses to speak up, it’s time for others to step back and listen. I have not. I have committed to attending the Spring 2019 workshop. Yes and Yes. 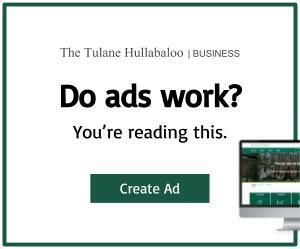 To me this process would look like an examination of the history of Tulane noting a specifically deep dive into historic names of the institution. Following the examination, I believe there needs to be an acknowledgement of the history of the university associated with a problematic individual. Following this acknowledgement, any everyday representation of a problematic individual or group should not simply be removed but replaced by a representative name from which Tulane can draw true pride. The racist history of the university must never be forgotten though and any process dealing with this must be well documented to (1) establish the grounds for the process in the future and (2) serve as a reminder of the university’s past issues regardless of its current standing. The current dialogue on campus is predominantly one-sided, and there are steps that need to be taken on campus to make the dialogue more inclusive. The finance committee can and will hear organizations in an unbiased manner and continue to encourage organizations to use their full budget allocation to be able to grow it for the future. I was not able to attend Shifting the Paradigm this year. However, I was able to last year and was actively involved with Project IX at the Taylor Center. I believe the first and most crucial of steps for Tulane to take in regard to sexual violence is to allow students to develop solutions in partnership with administrators to create methods of addressing this issue informed from those that are actually involved with the issue, students. Wave of Change lost steam as former VP Tetlow left Tulane and the rebranding as ALL IN has been a continuation of that same vein. The campaigns by the administration have depended too heavily upon students and continue to do so. Students must be heard when it comes to addressing sexual violence on campus, but we must also be empowered to create change alongside administrators. Mental health is an issue where we too often allow an individual’s surface level expression of enjoyment mask their inner turmoil. While CAPS is a great resource for students, it needs to be expanded and supplemented so the excessive wait times can be slashed and individuals with less urgent mental health needs can still receive the care they deserve. I will be a supporter and use the position on the executive board to amplify voices on this issue. The expansion of STI testing this year was a great example of an effective way to provide more reproductive health resources to students and I look forward to being able to work with others on campus to ensure the financial sustainability of these kinds of programs. No. Accessibility is a huge issue for Tulane. I will pledge to not only speak up and raise this issue, but also dive further into my own understanding of accessibility. Accessibility was the emphasis of a design conference I attended in the summer of 2017. The ideas from that conference were developed in 48 hours with help from individuals with differing abilities and they were drastically superior to some of the antiquated designs of Tulane. I have been involved with design and planning for the university after sitting on the University Senate Physical Facilities Committee for the past two years and after designing the Outdoor Classroom. The trend for our new construction on campus is one towards more accessibility and some of the worst buildings in terms of accessibility will be some of the first to come down and be replaced in the coming years. I have been the Director of Sustainability for USG for the past 2 years. This experience has made me acutely aware of the needs associated with environmentalism at Tulane and more broadly environmental justice in the region. In establishing and planning Climate Action Day (2018) and Climate Action Week (2019) with partners from around the campus and community I believe it is clear that environmentalism is an intersectional issue. While the VPF does not directly deal with areas that would relate to environmentalism, I will continue to act on environmentalism, and encourage others to do so as well. 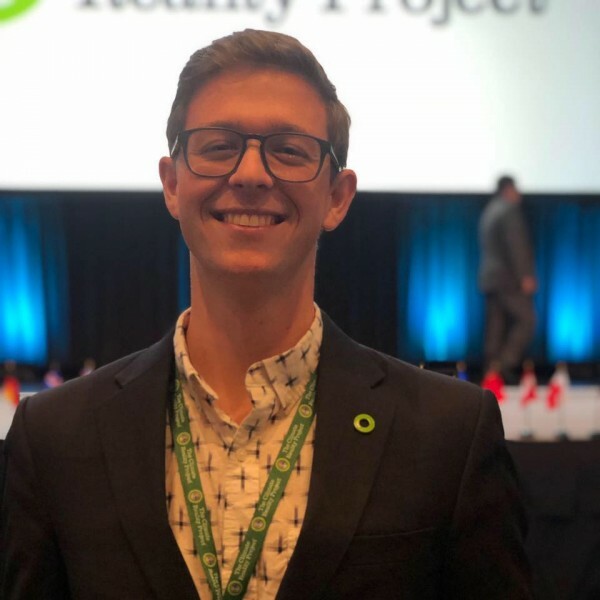 For my first two years on campus I was a member of Divest Tulane, which works to lobby the Board of Tulane and the Tulane Administration to pull its investments out of fossil fuels and reinvest in clean energy and sustainable enterprise. 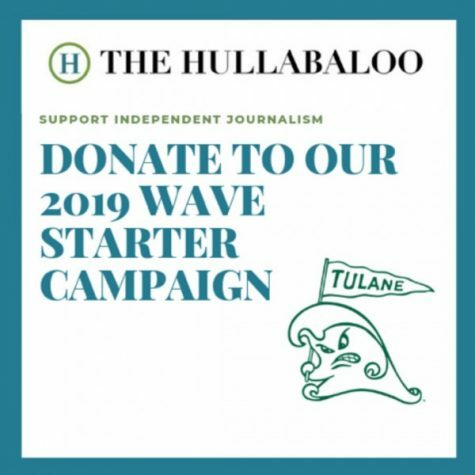 I actually drafted much of the language for the organization at the time when it came to divestment and analysis of Tulane’s investment portfolio approximations in the oil and gas industry. We had meetings in Gibson Hall, however some members of the organization were of the mindset that divestment was “all or nothing.” Moving forward, I believe the best way for Tulane to combat climate change is to acknowledge its deep-rooted connections to the oil and gas industry while simultaneously increasing funding for the Office of Sustainability. I have met with administrators in the past as the Director of Sustainability about environmental efforts and the impacts of the oil and gas industry and climate change on Tulane and our surrounding communities (most notably Cancer Alley). I will continue to push for environmental efforts if I am elected as the VPF for USG. It is a problematic system. To improve service learning I think requires an examination of the timelines associated and the quality of “service” included in service learning. For instance, the most valuable service learning programs are tied closely to personal values, enriching the community, and providing a service that would otherwise go unfilled. These service opportunities should not be transactional and instead should be productive. These should be building relationships between students and community members and organizations so students can truly identify where they feel called to serve and apply themselves. Maybe this necessitates a decoupling of the service requirement from courses so students are freer to establish their own relationships, but at the same time, this also assumes Tulane students would exert themselves enough to do this. Yes. I would be a vocal proponent for and use the position to step back and amplify the voices of those affected by and requesting All-Gender restrooms. No. I participated in the 2018 Women’s March in New Orleans. I plan on attending more trainings in the future and hope to grow through learning more about how I can help. I have no direct experience with gender-inclusive housing other than living a floor above a gender inclusive housing option my sophomore year in Patterson. I would continue to support efforts like in Patterson where gender-inclusive housing was available and will also support efforts like the All-Gender restrooms to ensure expanded inclusivity around the entire campus. I see USG playing a role in encouraging students to practice their right to vote. I believe the strictly nonpartisan role USG plays makes it a good candidate for being the vehicle for funding voter registration initiatives that cannot be funded by partisan groups. More generally, as a student government, encouraging students to practice their right to vote is one of the most enriching experiences we can have on the students we represent. I would like to reiterate that I will “speak up and step back” to ensure that in the financial dealings of the university all students are represented equitably and I will give space to leaders helping develop a Tulane that is more equitable and inclusive of all.